Happy Halloween everyone! I hope you’re enjoying a great day of trick or treating, celebrating All Hallow’s Read, and enjoying the day. For this inguaral WwW Halloween post, I’ve decided to review the Bard’s most supernatural play, MacBeth aka “The Scottish Play”. Why?Well because it has everything that you would for a Halloween viewing, murder, mayham, violence, death, ghosts, witches, the list goes on and on. The version I’ve chosen is the 2006 version from Australia, directed by Geoffrey Wright (Romper Stomper, Cherry Falls) and starring Sam Worthington (Avatar, Clash of the Titans) in the title role and Victoria Hill (December Boys) as his blood stained hands Lady. Ini many ways this film could be viewed as a companion piece to fellow Australian Baz Luhrman’s Romeo + Juliet. Both were directed by Australians. Both feature their director’s sensibilities (Luhrman does a Romantic Tragedy, which he perfected a couple of years later with Moulin Rouge, Wright a horror/thriller, which is what he cut his teeth on.) Both feature a young cast, many of which would later go on to become big stars in huge movies (interestingly both feature leading men who would find success in films directed by James Cameron. Leonardo DiCaprio did Romeo + Juliet and then Cameron’s Titantic, Sam Worthington did MacBeth and then later Cameron’s Avatar, the current #1 and #2 box office smashes.) Both feature, what I would term “rock and roll” motifs and feeling So let me warn you right now, if you are a Shakespearean traditionalist or purist, stay away from this movie. Watch Orson Wells or Roman Polenski’s amazing versions that are much more in line with the traditional Shakespeare. 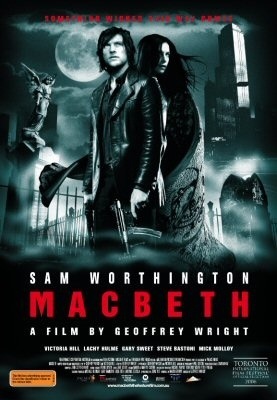 This MacBeth takes place in Melbourne and the actors retain their natural accents (much like Luhrman did by setting his movie in America and allowing his actors to keep their accents), it features guns and knives, fast cars and motorbikes, all while retaining the Bard’s original dialogue. Sam Worthington does an admirable job as the title character, in fact this may be the best acting I’ve seen him do. His MacBeth doesn’t break any new ground, but is a believably tortured soul who does what he does to gain power and hold unto that power. Victoria Hill likewise doesn’t break any new ground as Lady MacBeth, playing her viciously calculating, cruel and insane. The rest of the cast, I wasn’t familiar with, but all were excellent in their respective roles. While the acting was good, the directing left a lot to be desired. It was well done, but follows many of the action movie cliches that plague modern movies. The film opens with a wonderfully creepy introduction to our three teenage schoolgirl witches. But then cuts over the opening credits to show us MacBeth and Banquo’s hedonistic and violent lifestyle as Melbourne mobsters with quick cuts, “Avid farts”, flashing lights, and shaky hand-held camera work. The action then moves to a nightclub that MacBeth and Banquo have secured and acquired for mobster leader Duncan. There, while tripping on drugs, MacBeth has his fateful encounter with the three witches who tell him his fortune. And this is where I have issues with the film. If this is, as suggested by the film, fueled by MacBeth’s drug use, then Banquo would have no idea what the witches were saying in MacBeth’s fortune. 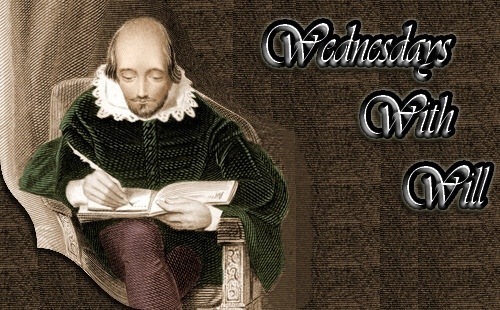 But that is a major point of Shakespeare’s original script, Banquo and MacBeth both have their fortunes told by the witches and are aware of each other’s fortunes, thus the reason MacBeth kills Banquo and is haunted by his ghost. Without Banquo knowing MacBeth’s fortune, MacBeth’s murder becomes more “crazy” and less “protective of the throne”. This 2006 version is quite good, but I think 2010’s BBC version with Patrick Stewart is better. Both are similar in tone, with a modernistic approach, but Stewart’s version is just better overall (as it should be, I don’t think anyone is going to confuse Sam Worthington’s acting with Patrick Stewart.) Both versions are currently streaming on Netflix Instant. Now as I wrap things up here, I do want to encourage you to head over to Smashwords and download my new 10 minute play, The Mysterious Case of Lot 249, for free. This offer expires at midnight Oct 31.